SOMETIMES I SURPRISE MYSELF WITH THE SMART THINGS I SAY + DO - ProudMummy.com the Web's Community for Mums. SOMETIMES I SURPRISE MYSELF WITH THE SMART THINGS I SAY + DO. 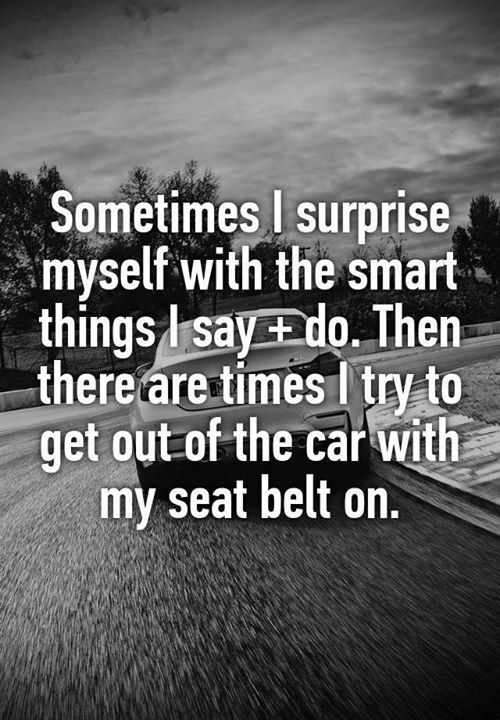 THEN THERE ARE TIMES I TRY TO GET OUT OF THE CAR WITH MY SEAT BELT ON.